Mayflower Gulch often has good displays of Colorado wildflowers. 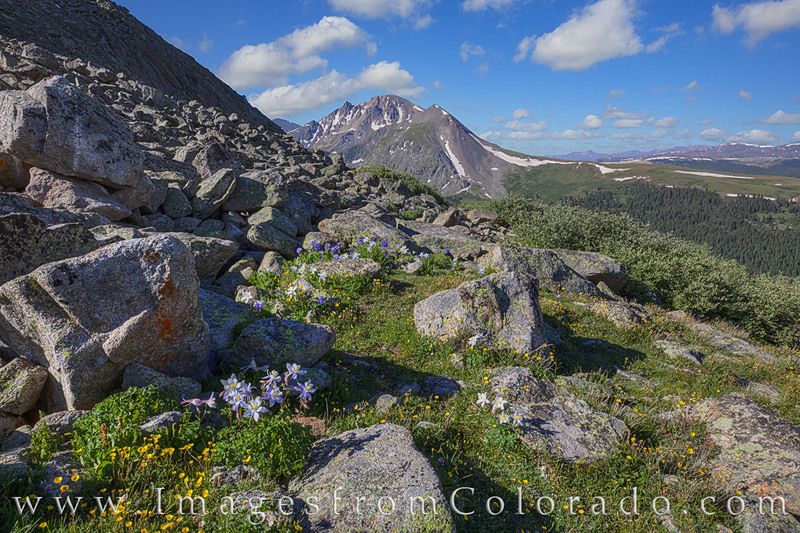 Early in the summer, columbine can be found around the rocky slopes of Fletcher Mountain (13,958’). The wildflowers in this image are on the western side of Fletcher. In the distance, Wheeler Mountain rises 13,690’ into the cool morning air. Photo © copyright by Rob Greebon.